There will be independent judges and the winners will be announced at 7 p.m. This letter is sent to invite you to take part in, or attend, this unique event. Slots will be limited and participants will be selected on a first come first served basis. 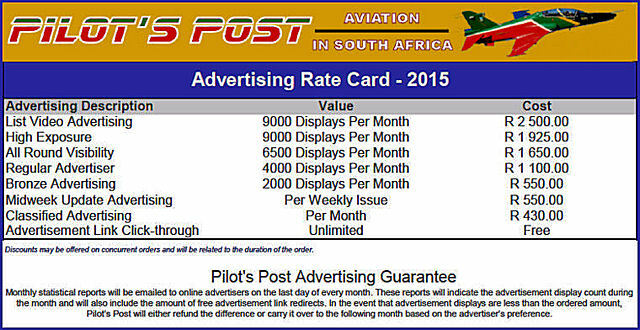 If you are keen to enter please respond to this mail as soon as possible to avoid disappointment. Entries will close on Monday 26 October at 6 p.m. This is to give time to plan and make the necessary arrangements. The date to submit your and display shots (30 on a memory stick) and photographic prints (3 total - A3 size prints) will be confirmed once the participants have been finalised. The selected photographers will therefore have one photograph in each category in the competition. It should be noted that it is intended that this become an annual event. As such anyone unable to enter or attend this year will be able to apply for future exhibitions. DWC will be sourcing prizes but anyone who wishes to contribute is of course welcome! There will be prizes in each category and obviously it will mean exposure (pun intended) of your photographic talents. 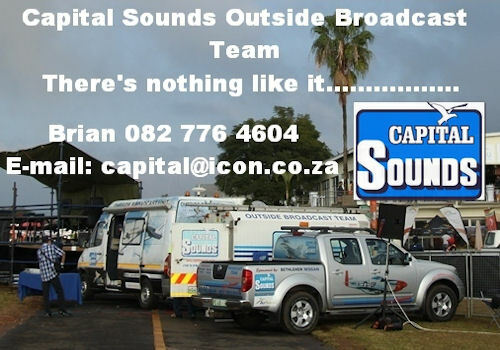 If there are any queries or questions feel free to contact Brian at brian.spurr@gmail.com. October 21 1978 - A man named Frederich Valentich mysteriously disappears while flying a Cessna 182L over the Bass Strait in Australia, after encountered an unidentified flying object. During six minutes after first asking air traffic control about other aircraft in the area, he continued to describe a craft of some sort that did not resemble an airplane and was moving all around him as he flew. His transmission ultimately ended with 17 seconds of metallic scraping sounds before cutting. No trace of him or his aircraft were ever found. October 21 1967 - During a Laughlin AFB, Texas, airshow, USAF Thunderbirds No. 6, an North American F-100D-20-NA Super Sabre, 55-3520, piloted by Capt. Merrill A. "Tony" McPeak, crashes, but he succeeds in ejecting as the plane broke up. As McPeak pulls up to begin a series of vertical rolls, the wing center box fails at ~6.5 Gs, and the engine catches fire as the center fuel tank ruptures, dumping fuel into the engine bay. Pilot ejects and lands near to the crowd. This crash limited flying on all USAF Super Sabres to 4G. This was the first Thunderbird crash during a performance. October 22 1911 - First aircraft to be used in war, an Italian Army Bl�riot XI, flies from Tripoli to Azizia to spy on Turkish positions. October 22 1797, Andr�-Jacques Garnerin jumps from a balloon from 3,200 feet over Monceau Park in Paris in a 23-foot-diameter parachute made of white canvas with a basket attached. He was declared "official French aeronaut of the state". October 25 2007 - The first Airbus A380 passenger flight, operating for Singapore Airlines, with flight number SQ380, flying scheduled service between Singapore and Sydney, Australia. October 25 1985 - Emirates operates its first revenue flight, from Dubai to Karachi using an Airbus A300 leased from Pakistan International Airlines. October 25 1944 - The first kamikaze mission is carried out, with aircraft of the 201st Kokutai sinking the carrier USS St Lo. October 26 1944 - The highest-scoring Japanese ace in history, Hiroyoshi Nishizawa, is killed when the Nakajima Ki-49 (Allied reporting name "Helen") transport aircraft in which he is riding as a passenger is shot down by a U. S. Navy F6 F Hellcat fighter over Calapan, Mindoro Island, in the Philippine Islands. His score stands at at least 87-and possibly over 100-victories at the time of his death. October 27 1918 - Col. William Barker shoots down a German plane over the front lines, then is attacked by a large formation of enemy aircraft. He sends three more German aircraft to the ground, while suffering serious gunshot wounds to his legs and elbow; crash landing near the Allied lines. He was awarded the Victoria Cross. USA, Clovis: Sergio Patrick Rodriguez, 27, was given the maximum possible prison sentence of five years for pointing a laser at a Kings County Sheriff's Office spotter airplane. Rodriguez was suspected of multiple acts of shining lasers at aircraft. In a previous laser strike, he targeted a medical emergency transport helicopter for Valley Children's Hospital. USA, Cheektowaga: An Alaska Airlines flight with 181 passengers and six crew made an emergency landing at Buffalo after fire was reported on board. The smoke was coming from the battery compartment of a credit card reader. Crew members put out the fire using an extinguisher. The FAA warned airlines in 2009 credit card readers could be a fire hazard. The FAA said lithium and lithium-ion batteries commonly used in credit card readers can overheat and cause a fire. USA, Los Angeles: A Compass Airlines Embraer E170 with 74 passengers and four crew members was cleared for take-off when the pilots noticed a vehicle driven by an airport worker entering a runway toward the aircraft from a taxiway. An alarm sounded at the air traffic control tower. The pilots were forced to apply the brakes, immediately abort the take-off and pull off the runway. Chile, Santiago-Arturo Merino Benitez Airport: A Sky Airline Airbus A319 returned to land at Santiago-Arturo Merino Benitez Airport in Chile after the engine cowlings of the no. 1 engine broke off during departure. The aircraft landed safely. Iran, Mehrabad: A Boeing 747, with 426 passengers aboard landed safely after part of the engine fell off. The engine fell in an urban area. No one on the ground is thought to have been injured. Hundreds of casualties have been reported in Iran over recent years following a spate of air crashes. Sonex Aircraft extends its congratulations to Redge Greenberg of Durango, Colorado, who made the first flight of SubSonex serial number JSX0003 on October 15th: the first customer-built SubSonex Personal Jet to fly! "I flew the SubSonex this morning, for about 35 minutes� all went well," writes Redge. "My regards to Dwight Tolfer who was a big help for me during the construction project that was done almost entirely in my garage." Redge received the first SubSonex kit delivery in February, 2015, an Ultra-Quick-Build kit with optional Triton Trailer. The SubSonex is sold as a Quick Build Kit only, leaving very little work for the customer, and providing almost everything needed to fly with the exception of avionics and paint! Two Quick Build Kit versions are offered: an EAB-compliant kit for the traditional builder including pre-built wings, fuselage and canopy; and an Experimental Exhibition category Ultra- Quick Build Kit with no �51 percent rule� restrictions. The Ultra-Quick Build customer will install the easily-removable outboard wing panels, engine and fuel system, bolt-in the retractable landing gear, install avionics, electrical systems and controls, install the supplied BRS, fiberglass components and upholstery, and add paint. "I hold commercial glider, helicopter & single engine land licenses, accumulating 4500+ hours in numerous aircraft," wrote Greenberg for our February press release, "but I never got the chance to fly a jet. 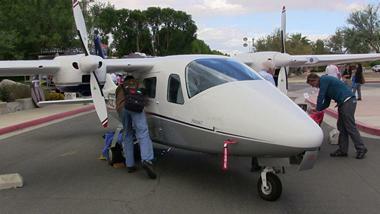 I first saw the prototype of the SubSonex at Oshkosh, and followed the development for over a year. When Sonex offered the jet as a kit, I was first in line. 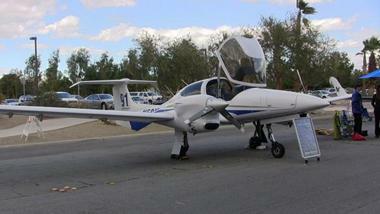 Like my RV8, the SubSonex is aerobatic, but the Sonex company also included a ballistic parachute for extra safety." With two SubSonex JSX-2 factory prototype aircraft now flying, Redge's SubSonex makes number 3 in the worldwide fleet, with 6 more customer kits currently under construction. It's been a good year for us. A lot of efforts have gone towards the design of our side-by-side version. Meanwhile we have also finalized the aerodynamic components of our current wing. A new and innovative slat system has been developed, which has proven to work very well. We've improved the flights characteristics by spending a lot of time on a multitude of small details, and we've also managed to fine tune our stall to be even more forgiving and benign than ever before. We have designed, built and tested new ailerons and slats that work even better than anything prior, we've increased the stability of the airplane in several axis while still retaining the same or better manoeuvrability, we initiated the design of the new side by side DoubleEnder at the beginning of the year and are well under way, and we've tested a new injection system on our modified Rotax 914. While the wing we are flying now is already amazing in what it allows us to do, we know there is always something better out there, and we have a relentless determination to find it. In collaboration with the University of Minas Gerais in Brazil, we are building a wind tunnel model of our prototype wing. This will help us refine it further and come up with new and creative ideas that have not yet been tried. We're really excited about the new side by side DoubleEnder. The design is coming along nicely and we've incorporated a lot of creative thinking that will keep you wondering why nobody did this before. Using everything we've learned from the prototype, we're adding a few new elements to make the airplane even better and safer. We are working closely with aerodynamicists to streamline the "outer shell" of the fuselage and ensure we have the most efficient shape possible. Future goals? Our hope is to present the new airplane during 2017, and assuming everything meets our expectations, we will start offering kits for the airplane. 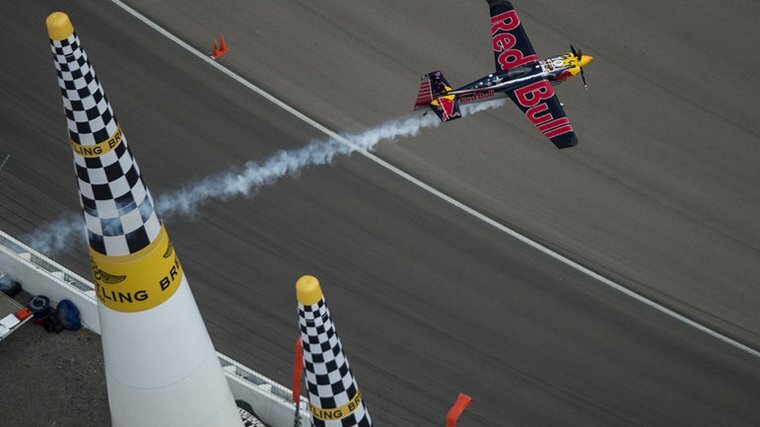 With the wind speed dropping dramatically, the pilots were set to fly in perfect conditions for the last push for the Las Vegas podium at the eighth and final race in the 2015 race calendar. 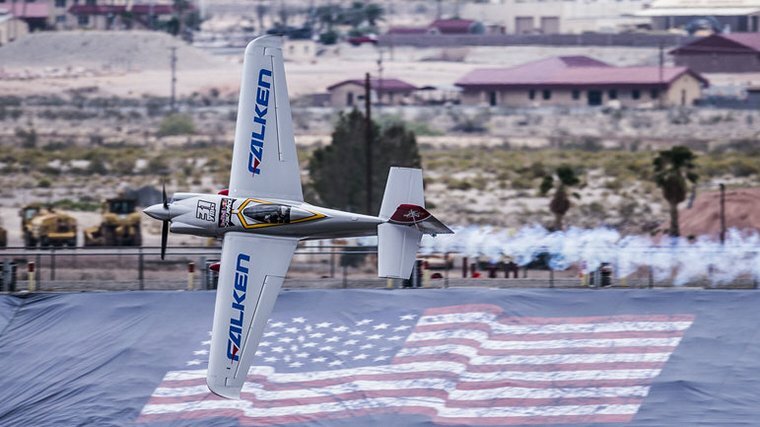 With the World Champion title already sewn up by Paul Bonhomme, Matt Hall, Matthias Dolderer and Yoshi Muroya were also looking for a race victory in the desert stop. In the first run of the Final 4, Dolderer was first out. Looking for a sub-49 run to get a real shot for the race win in Las Vegas, Dolderer was right on the money with a clean and fast run, clocking in at 49.358. Matt Hall was focused on taking his second race win of the season, and as the second pilot out for the Final 4, the Australian was going full-throttle for the podium top step. Flying tight manoeuvres and with a streamlined but no-holds-barred performance, Hall's clean and efficient flying earned him a stellar 48.604. 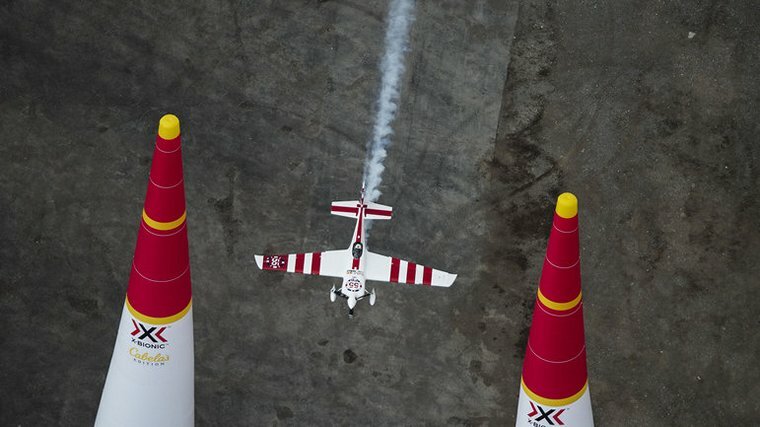 Yoshi Muroya headed into the track with no crosswind to contend with, pulling tight on the turns and managed to fly cleanly through the troublesome Gate 4 and Gate 10, but couldn't quite match Hall's blistering pace with a 49.415. 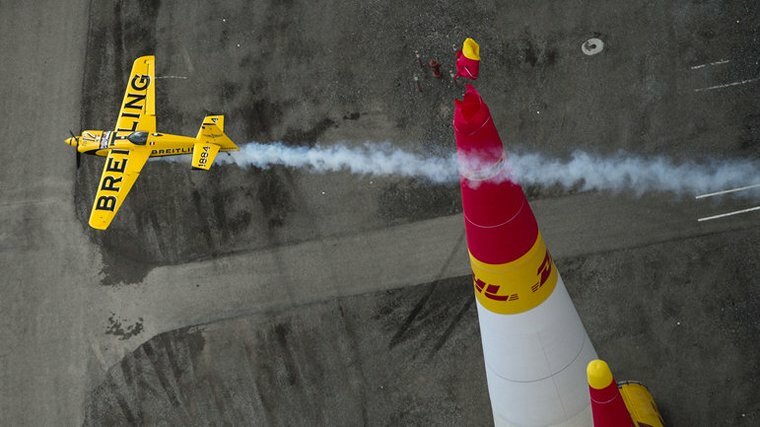 Only Paul Bonhomme could take the race win from Matt Hall, but with a tense Round of 8 under his belt the fatigue was creeping in. Bonhomme flew smoothly and found his lines, but the pace and focus just wasn't there and he lagged Hall's time by 0.364s with 48.968. Hall took a decisive race win and signed off 2015 with a track record. Photo � TBM AVEX, Inc. will showcase a TBM 900, the world's newest and fastest certified single-engine turboprop aircraft, at the Flying Aviation Expo held from Oct. 15-17, in Palm Springs, Calif.
AVEX, based in Camarillo, Calif., is the global leader in sales and maintenance of TBM aircraft (TBM 700, TBM 850, and TBM 900) and has a purist approach, providing best-in-class service and support. "AVEX is excited to debut the new TBM 900 to pilots attending Flying agazine's Aviation Expo. The new 900 exemplifies Daher's commitment to industry leading quality and reliability," said Terry Winson, AVEX's director of sales. "Daher's TBM 900 is the fastest production, single-engine turboprop in existence. Travelling at 330 KTAS at 28,000 feet, its range at max cruise is 1,400 nautical miles and allows the flexibility to fly out of a 2,430 foot runway." The TBM's reliability is the cornerstone of its reputation, derived from its large PT6A-66D engine. The TBM has the highest de-rating of any of the single engine turbo props at 1825 Thermodynamic Horsepower, to 850 Horse Power. 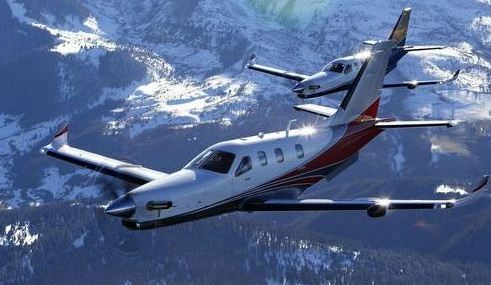 The TBM offers both better specific fuel consumption and higher performance than all other turboprops, and significantly better fuel consumption and superior reliability than light jets. AVEX is the West Coast Distributor and Authorized Maintenance Facility for the aircraft. All factory-new TBM 900 come with an industry leading all-inclusive 5 year/1,000 hour factory warranty. The three-day aviation showcase and trade show is expected to draw more than 5,000 pilots and aircraft enthusiasts to the event. The Expo is open to the public and will host a wide variety of aircraft, helicopters, aviation equipment, service, hands-on demonstrations and seminars. 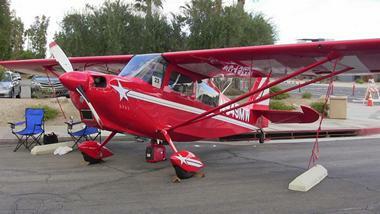 Breathtaking vistas, themed parties, and a parade of planes highlight the Flying Aviation Expo. More than 40 different types of planes, including, AVEX's TBM 900, SkyRunner, Pilatus, WACO, War Birds and more are expected to participate in the parade as hundreds of people will be lining the streets to feel the engine power. The 2015 FLYING Aviation Expo is excited to announce the return of the crowd-favourite, the Parade of Planes, at the event scheduled for Oct. 15-17 in Palm Springs, Calif., at the Palm Springs Convention Centre. SkyRunner, an experimental flying ATV categorized from Red Bull as "one of the greatest adventure vehicles of all time," will be leading the parade. The parade of planes is set for Thursday, Oct. 15, at 10:00a.m. - 2:00p.m. The planes will taxi from the Palm Springs International Airport to the Palm Springs Convention Center, traveling down East Alejo Road to North Avenida Caballeros to the cheers of participants and fans. The parade is then reversed on Saturday, Oct. 17, at 3:00p.m., as the planes will taxi back to the airport. "The Parade of Planes and Flying Aviation Expo is one of the most fun and much anticipated traditions in the City of Palm Springs," said Mayor Steve Pougnet. "I invite everyone in the Coachella Valley and beyond to visit Palm Springs and check out this uniquely original special event which truly makes our city like no place else." More than 40 different types of planes, including SkyRunner, Avex's TBM 900, Pilatus, WACO, War Birds and more are expected to participate in the parade and hundreds will be lining the streets to feel the engine power. "The FLYING Aviation Expo is one of the most sophisticated aviation events for luxury brands," said SkyRunner CEO and founder Stewart Hamel. "SkyRunner is honoured to be leading the Parade of Planes this year and we're in awe of the work, education and outreach the Expo has built for pilots and aviation enthusiasts." The Parade of Planes is a great kick start to the FLYING Aviation Expo, which is expected to draw more than 5,000 pilots and aircraft enthusiasts. Immediately following the parade, a "Learn to Fly" seminar is available for those looking for an intro into aviation. 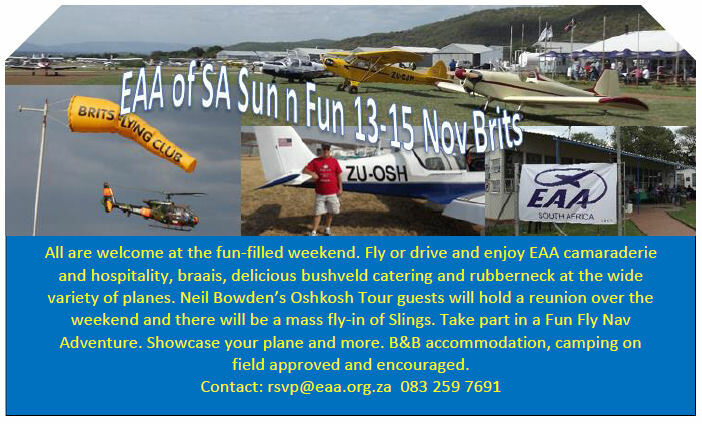 The three-day aviation showcase and trade show is open to the public and will host a wide variety of aircraft, helicopters, aviation equipment, service, hands-on demonstrations and seminars. Photos � Sonex. 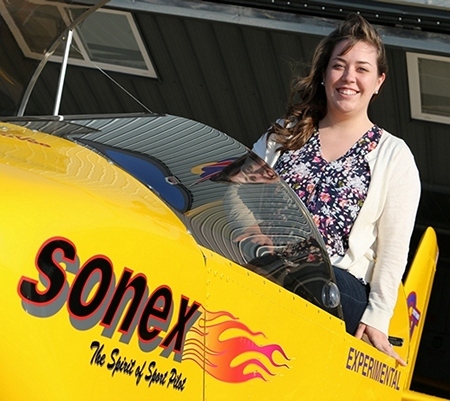 Sonex Aircraft announced that pilot and engineer Jessica Bower has been hired as the newest member of the Hornets' Nest Research and Development team at Sonex. An incredibly synergistic hire, Jessica is a former employee of the Lockheed Martin ADP "Skunk Works" mentored by early Sonex lead engineer Pete Buck. Jessica is currently building Sonex #1563, while her father John Forster is building Sonex# 1567 and owns Sonex #480. "Sonex is excited to have Jessica join our R&D staff," remarks Sonex Founder and President John Monnett. "She brings a full tool box of skills, insights and passion that will help us move forward on all our future projects." Jessica Bower is a MIT graduate with a Bachelor of Science degree in Aeronautics and Astronautics and is a native of nearby Kaukauna, WI. She earned her Private Pilot's License at Oshkosh's Wittman Regional Airport, has attended EAA AirVenture Oshkosh 21 out of her 27 years, and has been an EAA member since the age of 16. In the Advanced Development Programs department of Lockheed Martin, Jessica was primarily responsible for conceptual design of the next generation of military aircraft, including configuration layout and performance analysis, design skills that make her a great choice to shape the future of Sonex aircraft designs and carry-on the proud tradition of Sonex engineering. "I am so thrilled to join the Sonex team, and to be back in the heart of experimental aviation that is Oshkosh," writes Jessica. "The Skunk Works made me want to be an aerospace engineer, but experimental airplanes are my first aviation love. Sonex has a fantastic line of airplanes and products, and I think people will be excited to see what comes out of the Hornet's Nest R&D Centre in the future!" 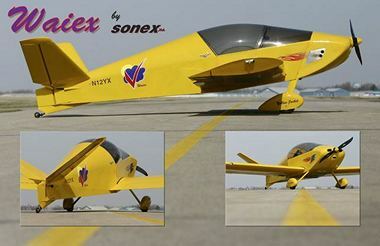 Sonex Aircraft, LLC is a leader in the experimental kit aircraft industry, providing a series of sport aircraft along with the AeroConversions line of products, which include the AeroVee engine, AeroVee Turbo, AeroInjector and ancillary aviation products. 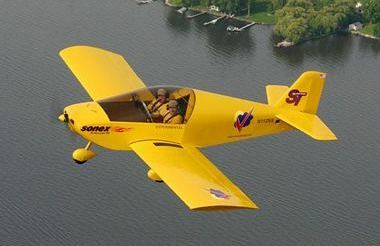 Sonex Aircraft's Sonex, Waiex, and Onex sport planes, the Xenos sport motorglider, and the SubSonex Personal Jet, offer outstanding performance in an easy to build, easy to fly kit package that can be purchased and completed with full technical support at an unrivaled price. Highly regarded as an engineering company, Sonex has diversified its offerings to include the Teros line of UAV aircraft for civil and defense missions in conjunction with Navmar Applied Sciences Corporation. 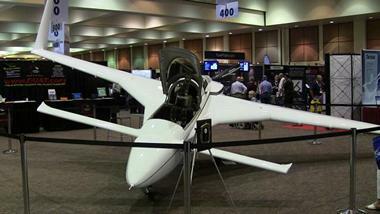 Sonex and AeroConversions continue to invest heavily in developing new products.